Doctor gone ginger. 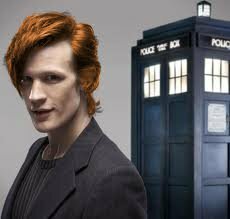 Well the doctors always wanted to go ginger. Wallpaper and background images in the Doctor Who club. This Doctor Who fan art contains portrait, headshot, gros plan, and closeup. There might also be costume d'affaires, costume d’affaires, bien habillé personne, costume, costume pantalon, tailleur-pantalon, pantalon costume, pantsuit, personne bien habillé, and pantalon de costume.